Facebook is tweaking its user’s News Feed to priorities friends and family posts over publishers, in what could be a blow to brands who rely on the social media traffic for referral traffic. In a blog post, Adam Mosseri-vice president of product management, News Feed- wrote: “Our top priority is keeping you connected to the people, places and things you want to be connected to — starting with the people you are friends with on Facebook. That’s why if it’s from your friends, it’s in your feed, period — you just have to scroll down. “To help make sure you don’t miss the friends and family posts you are likely to care about, we put those posts toward the top of your News Feed. This update is going to affect publishers, brands and pages that rely on Facebook’s News Feed for referral traffic. 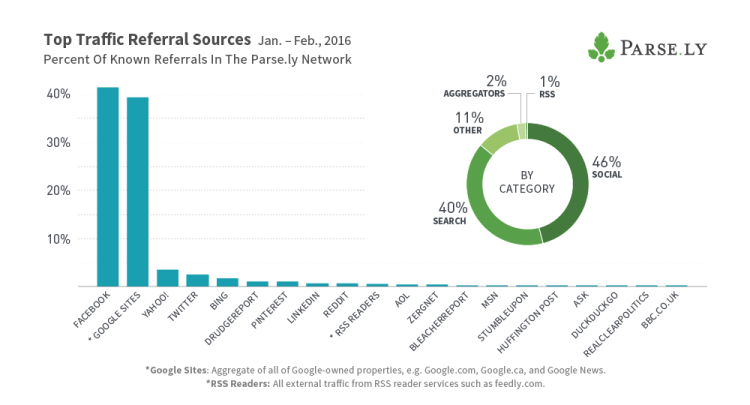 A report by Parse.ly, digital publishing analytics company, released in April 2016 found that 41.4 per cent of all referral traffic to publishers’ websites comes from Facebook. The social media company surpassed Google’s total referral traffic (39.5 per cent) for the first time in the summer of 2015. The update is likely an attempt to get users to interact more with friend’s content- like the introduction of Facebook Reactions early this year. The change also encourages publishers to move towards Facebook Live- a feature which is open to all publishers, but also is placed on top of the News Feed. In a separate blog post, Facebook engineering director Lars Backstrom said: “We anticipate that this update may cause reach and referral traffic to decline for some Pages. The specific impact on your Page’s distribution and other metrics may vary depending on the composition of your audience.